ISLAMABAD (May 21, 2015): Pakistan Science Foundation and US Embassy officials discussed cooperation in scientific research and promotion of science and technology on May 21, 2015. A three-member US Embassy team comprising Ms. Shai Bista, Second Secretary, Christopher Mckinney, Environment, Science and Technology and Health Officer and Ms. Gul-e-Afshan, Economic Specialist called on Prof. Dr. Muhammad Ashraf, Chairman PSF to discuss Pak-US collaboration for promotion of science. Dr. Mirza Habib Ali, PSF’s Focal Person for International Linkages, also attended the meeting aimed at launching some new joint initiatives in the field of science and technology. Dr. Ashraf informed the US Embassy officials about the mandate and spectrum of PSF for international collaboration. He briefed them about PSF’s different programs such as Research Support, R&D Industry and Natural Sciences Linkages Program (NSLP). Dr. Ashraf appreciated the US contribution for promotion of science in Pakistan, especially in the field of agriculture. The matters pertaining to cooperation between PSF and US National Science Foundation, National Academy of Sciences and the Rockefeller Foundation etc came under discussion. 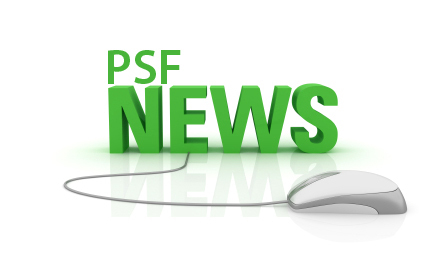 The Embassy officials informed the Chairman that some high officials of US government are expected to visit Pakistan in early next month and their visit to PSF would be arranged for materializing the cooperation beneficial for both the countries.